ink: Plaka red gold/two-tone red metallic glitter paint, TH tea-dye/pine needle distress ink pad, crimper, doily dyed with boiled tea-leaves, recycle biscuit box. 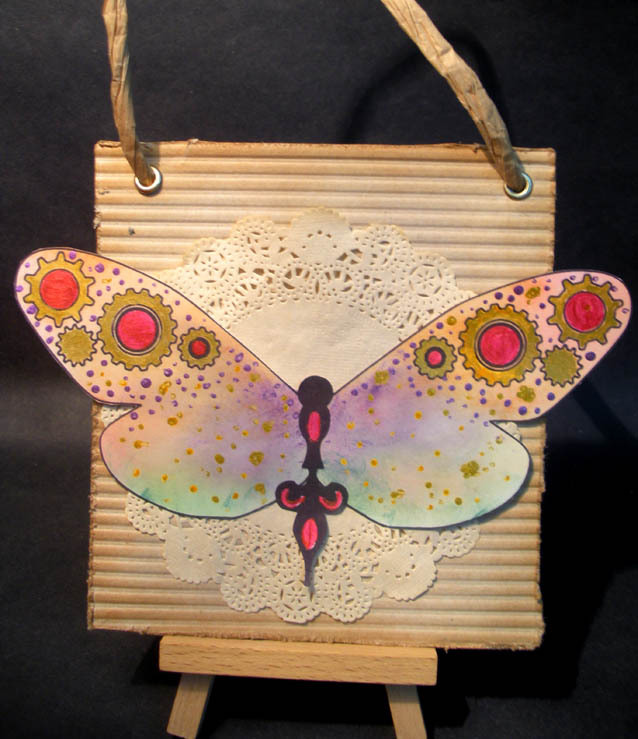 Gorgeous creation and your steampunk butterfly looks gorgeous. Lovely coloring!! I like the corrugated background too!